Monrovia Falls is a beautiful 30 foot waterfall located in the San Gabriel Mountain foothills right above Monrovia, California. 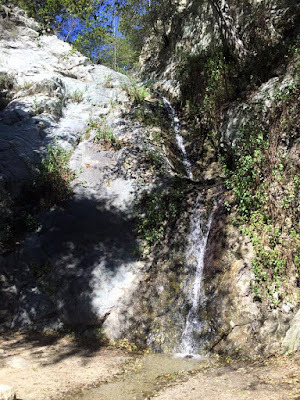 A hike to Monrovia Falls is a fun short hike that is easy for the entire family. This hike offers amazing scenery and the chance to see local wildlife. The hiking trail to Monrovia Falls is very popular with locations, so expect to see others enjoying this beautiful 30 foot waterfall. Directions to Trailhead: To get to the trailhead to hike to Monrovia Falls, from the 210 freeway, exit Myrtle Avenue in Monrovia and head towards the mountains. Travel through old town Monrovia and then make a right onto Foothill Boulevard. In 4 short blocks, turn left onto Canyon Boulevard. Once you're heading north on Canyon Boulevard, in 0.7 miles, take a right to continue on Canyon Boulevard. Take the second right to stay on Canyon Boulevard and enter Monrovia Canyon Park. 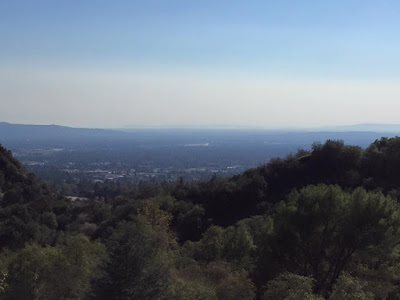 Currently, there is a $5 per vehicle fee to park inside Monrovia Canyon Park ($6 on Holidays and weekends) and all cars must be gone by 5PM, which is when they lock the gates. You can also park outside the park but you'll have to hike an additional 1.1 miles on a paved road. Note that the park is closed on Tuesdays. Description of Hike: This is an out and back hike to the 30 foot Monrovia Falls, situated in the Foothills of the San Gabriel Mountains. The majority of this hike hike is on a dirt hiking trail that travels through some amazing riparian areas. You have a couple of different hiking trail options to chose to hike to Monrovia Falls. Three trailhead options give a range of distances from 1.5 miles round trip to 3.4 miles round trip. The shortest is from the visitor center. We hiked from the middle parking area before the visitor center. 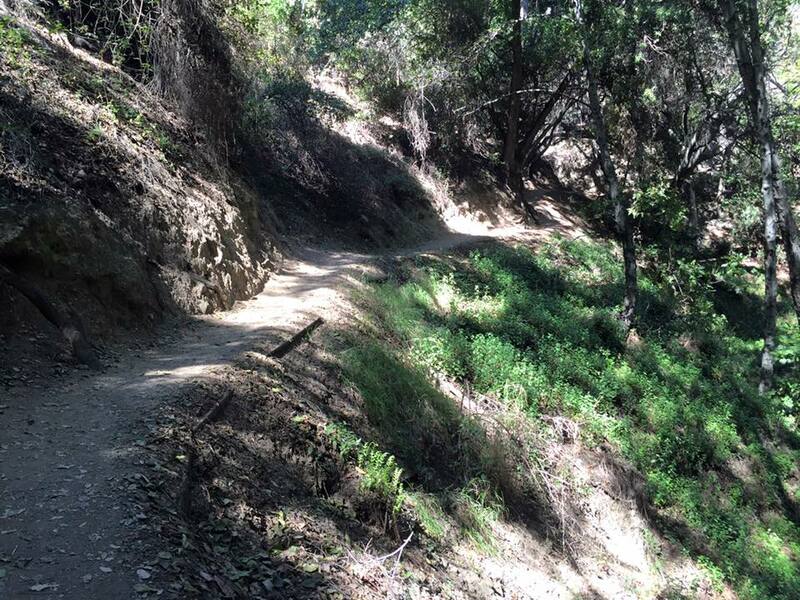 The longest hiking option is right by the entrance to Monrovia Canyon Park. The majority of the hike has plenty of shade from the oaks and sycamores in this location. The hike a a gradual uphill the entire way to the falls and then a gradual downhill on the way back to the trailhead. Further Thoughts: Ashley and I enjoyed our hike to Monrovia Falls that we did in the late fall of 2015. We saw a couple of small snakes while on our hike and got great pictures!! You will run into other hikers when hiking to Monrovia Falls. We saw several groups of people while on our hike, but by no means was it overly crowded. Even in the late fall Monrovia Falls had a steady stream of water cascading down its face. The hiking trails were relatively easy to follow. The one downside about this hiking spot is that the park closes at 5PM, where as most wilderness parks close at sunset. Rating: Elevation Gain: 400 to 800 (Easy), Distance: 1.5 miles to 3.4 Miles Roundtrip depending on trail (Easy). Time to Complete Hike: 1 hour.